It’s Black Friday. Quick! Get down the shops! Grab that 4K TV you’ve always been dreaming of and celebrate the £100 you’ve saved! But where are you going to go? Which shop will have the best deals? Which retailer has successfully told us consumers how much they can save? 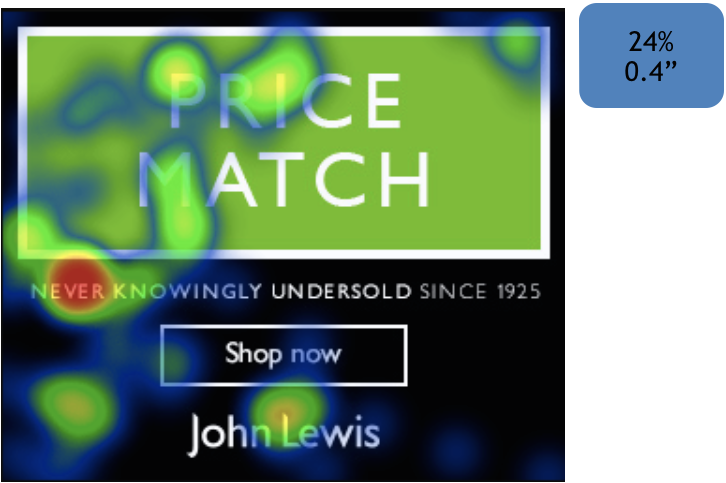 Over the last week, we have tested some digital Black Friday ads for some of the biggest retailers in the UK, to find out just that. First, we had John Lewis. Yes, they had time to think about Black Friday in the midst of #MoztheMonster. Although, they didn’t want you to know they were thinking about Black Friday, rather, keeping it very “John Lewis” – understated, clean & with absolutely no mention of Black Friday whatsoever. Yes, their ad was beautiful, well designed and ticks all of the boxes for our usual creative guidelines for digital advertising. But this is Black Friday. And consumers demand more on Black Friday. Next came Argos. Argos is a big player in the Black Friday game. Particularly in print, with their effective catalogue style advertising (see Black Friday: is it all it’s cracked up to be? from last week). This year in digital, the high contrast of colour on a black background really caught people’s attention. However, the Paypal partnership distracted consumers from the main event. Would an image of a product worked harder at getting the Black Friday message across? Finally, we have Currys. Currys are one of those retailers that love talking about Black Friday. Their Black Tag event is one of the biggest sales across the UK retail market. And boy have they made sure us consumers know about it. As mentioned last week, the more you mention Black Friday and all your deals, the more likely are people going to look. 34% of our panel noticed Currys’ billboard, for an astonishing 1.4”. We didn’t just find this in digital, either. Currys successfully applied a catalogue style creative to their Black Friday print advertising last week, leading to a boost in % viewing of +7% compared to norm (84% vs. 77%). Cross channel, Currys are really bossing Black Friday.